Use the satin ribbon around the first hole and lace the two plates together (see the how-to video), then, tie the ribbon. 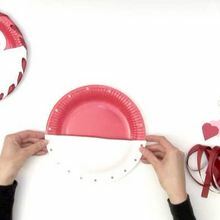 Glue the heart pieces onto the plates. Your Valentine's Card holder is Purrr-fect! 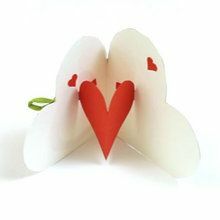 You can insert your Valentine's cards inside and avoid losing them.